This mod lets you own and operate meth labs around the state of San Andreas. 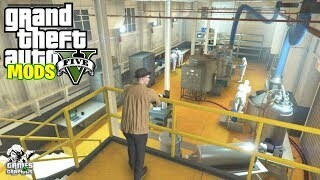 Buy a meth lab, set it up, let your workers cook some top quality product and make some money! 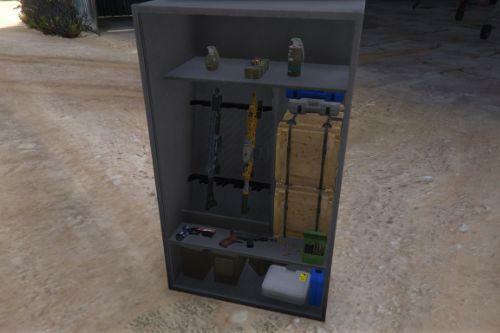 Put the contents of the archive you downloaded to your GTA V folder/scripts/. These are the values you can change to your liking. - MISSION_TIME: Minutes you'll have to complete a setup/delivery mission, this setting is 15 by default. 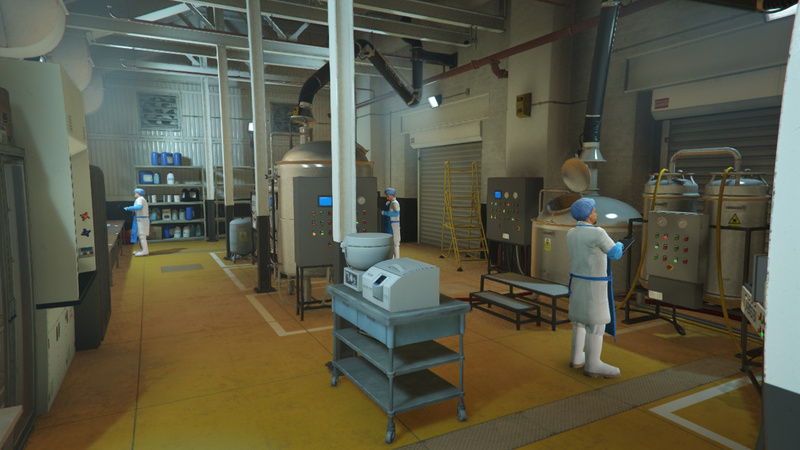 - PRODUCTION_TIME: In-game hours a lab needs to produce 1 bin of meth, this setting is 6 by default. Note that the lab upgrades can shave up to 2 hours from the production time. - POLICE_CHANCE: Chance of the cops coming after you when doing a sale mission, this setting is 15 by default. Note that buying the lab security upgrade will divide this value by 2, meaning if you set this setting 20% and buy the security upgrade, your lab will have 10% chance of cops coming after you. - POLICE_STARS: Amount of stars you'll get when the police is after you during a sale mission, this setting is 2 by default. 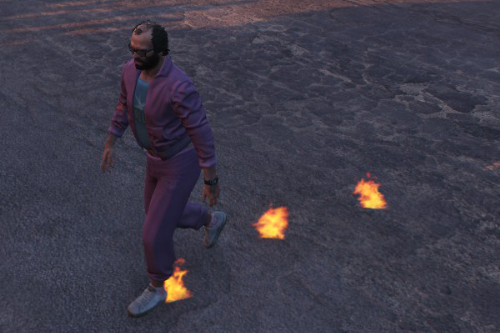 Meth labs only update when you visit them, meaning staying AFK in one will do nothing. Production is tied to in-game hours and takes 6 in-game hours to produce 1 bin of meth. There are also upgrades you can buy for your labs to get better performance. Produced meth bins are also visible at the back of your lab. A lab can make up to 20 bins without becoming full. - Equipment Upgrade: Reduces production time by 1 hour. - Staff Upgrade: Reduces production time by 1 hour. - Security Upgrade: Reduces the chance of cops coming after you when doing a sale mission. - This script was tested on game version 1604.1 with no other mods installed. - ONLY REPLACE THE .DLL FILE IF YOU'RE UPDATING FROM VERSION 1.0 OR YOU WILL LOSE DATA! - Added leaning animation, preview. - Enabled ambient sound(s) for set up labs. - The laptop inside labs will show "The Open Road" on its screen now, purely visual change but beats an empty black screen. @kroonstaar Good idea, might consider it in the future. @rootcause This is perfect, just like in MP, but I have a question, is there police raid on your lab? @gunziness Great suggestions! I might borrow some in the future. @Quakex64 Can't really say anything about that as I didn't play with other business mods. 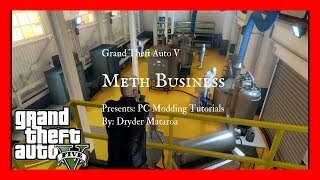 @UndyingWar Glad to hear you found a solution, there's only one meth lab interior and all mods want to share it! Guess your solution is the only option here. @lukas10 Probably not, a mod like SPA would take some time and I can't really commit myself to big projects. @mirkog4mer There are no lab raids but there's a chance of the police coming after you during a sale mission. 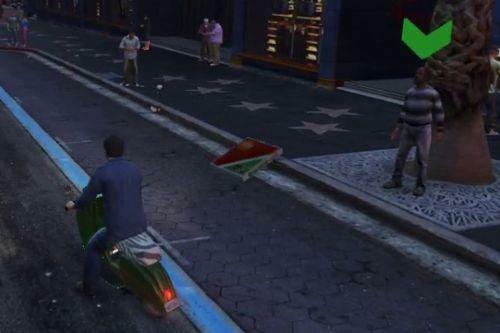 Might want to check out https://www.gta5-mods.com/tools/packfile-limit-adjuster for the crash issue. @IUaena @taldobill @gdta5 @RogerDatSoldier @nieroojan I don't really plan to make more business mods, sorry. First of, pretty nice mod! I'm really enjoying it! Maybe a future update could include a storage upgrade. My idea would be to add 10 bins with each upgrade, starting at $100000 and increasing by ^1.02 (maybe even changeable in the config file). 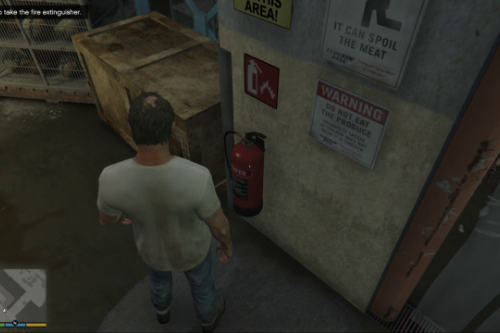 Very good mod but i have an issue with entering the meth lab. @gdta5 , that would be a great ideea. 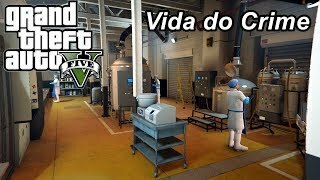 @rootcause Really great mod, any possibility of being able to use our own car when doing the missions? perhaps picking up smaller amounts over multiple locations or earning less money from it as a sort of penalty for it? Could just be conflicting with some other scripts but whenever I install this script, upon loading into singleplayer, I'm forced to join an online session. 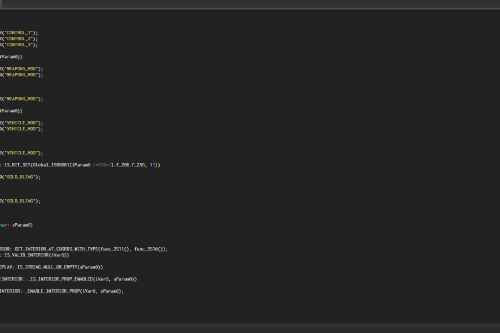 All my other scripts are compatible with each other; unfortunately, this breaks my game.